Pears are hard to resist when in season, yum! 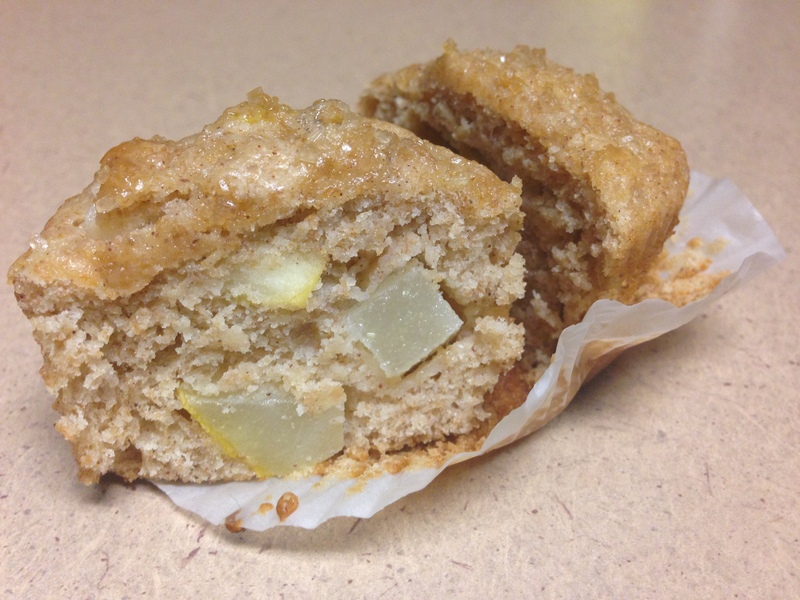 For my last day in the office before the holidays, I decided to bring in some yummy muffins. We’d had so many sweets in the office lately, that I wanted to make something less sweet and a little more on the healthy side. 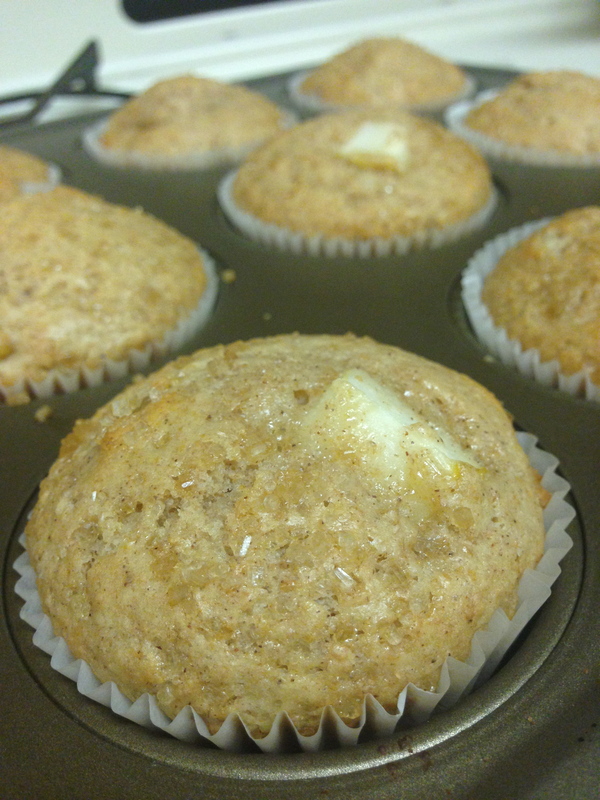 I found the recipe for these Honey Pear Muffins and knew they would be perfect! 1. 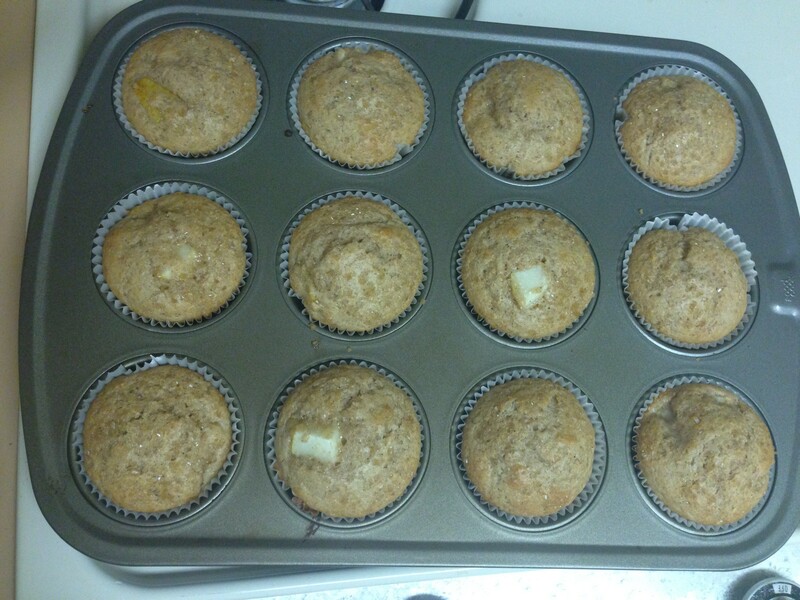 Preheat oven to 375 degrees F. Line the muffin pans with paper liners or coat with cooking spray. Set aside. 2. 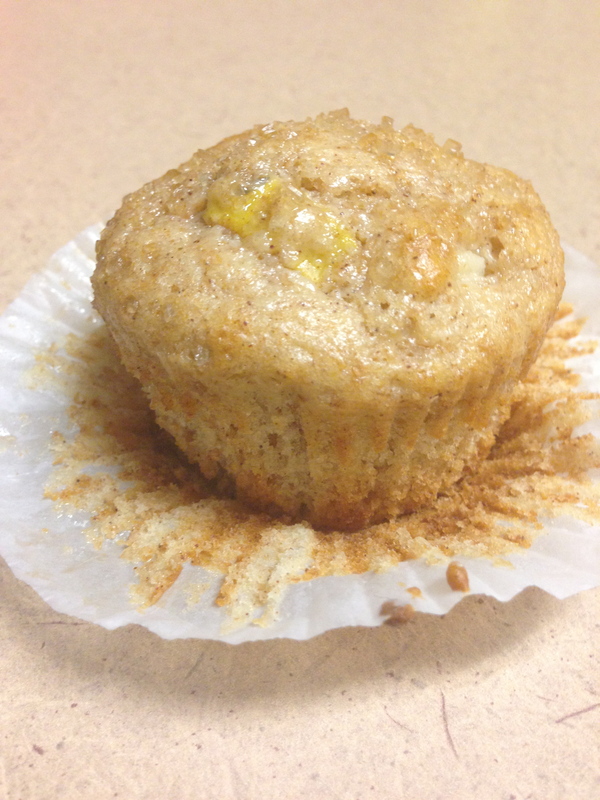 In a large bowl, whisk together flours, sugar, baking powder, salt, cinnamon, ginger, and nutmeg. Set aside. 3. In a small bowl, whisk together buttermilk, butter, honey, egg, and vanilla. Pour the liquid mixture over the dry ingredients and stir just until mixed. Gently fold in the pears. 4. Fill muffin cups 3/4 of the way full. Sprinkle each with turbinado sugar and bake for 18-20 minutes or until a toothpick stuck in the middle comes out clean. Let cool for 5 minutes. Serve warm with a drizzle of honey!